Posted on August 24, 2013 This might be outdated! I just added a new plugin to the WordPress repo. It’s called “WooCommerce Users Custom Meta Search”. It’s a small plugin that adds WooCommerce users meta fields to the WordPress default users search. 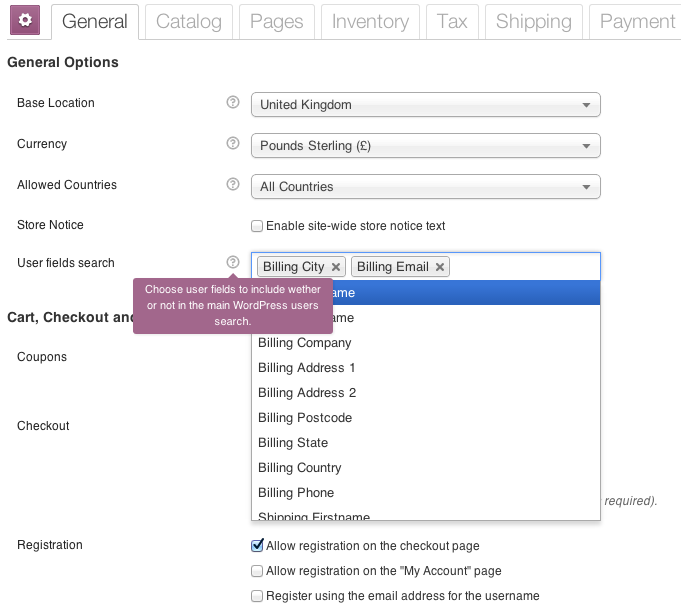 In other words this plugin gives the ability to search users by “Billing firstname”, “Shipping Country”, “Billing email”, or any other fields created by WooCommerce during the order process. The code doesn’t display anything special, it just modifies the search query. Will this work with Admin Custom Order Fields? Hi Remi, it seems to slow down our site with 80,000 customers. I’m unable to run even a simple customer search. Have you tested it on a site with this many customers?